My nephew asked if I could make his two children a joint birthday cake. 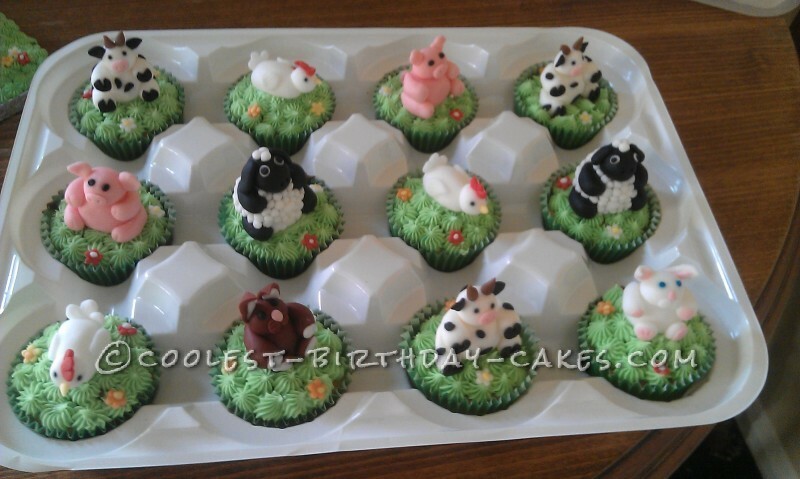 The theme being farm animals as they were having a travelling farm for their party. I was quite nervous doing this as I’ve never made animals before and having tried a few different animals the results were not great as I found them difficult. 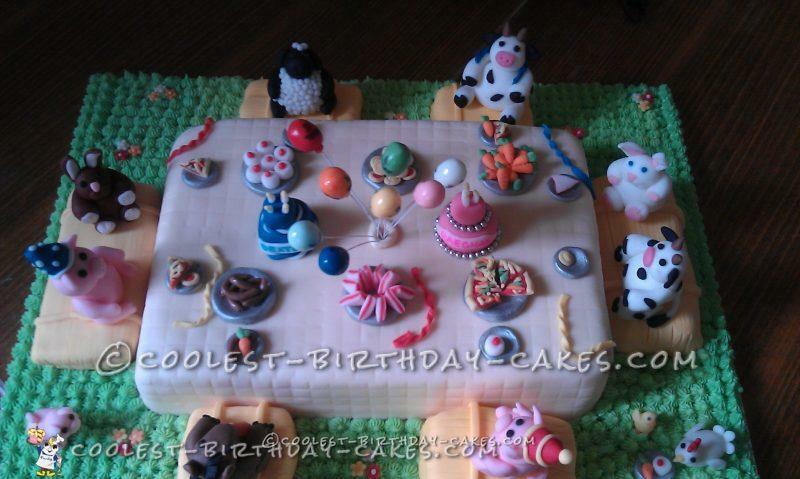 I decided the easiest way for me was to make them sitting up as I could make any animal I wanted by changing the color of fondant and adding the details of that particular animal. Once I got the hang of it there was no stopping and soon I had my own farm of animals. They took me a couple of weeks to make, mostly sat in the evenings. I thought it would be fun make them sit at a table eating party food as this is what the children would be doing. Again great fun making all the little food. 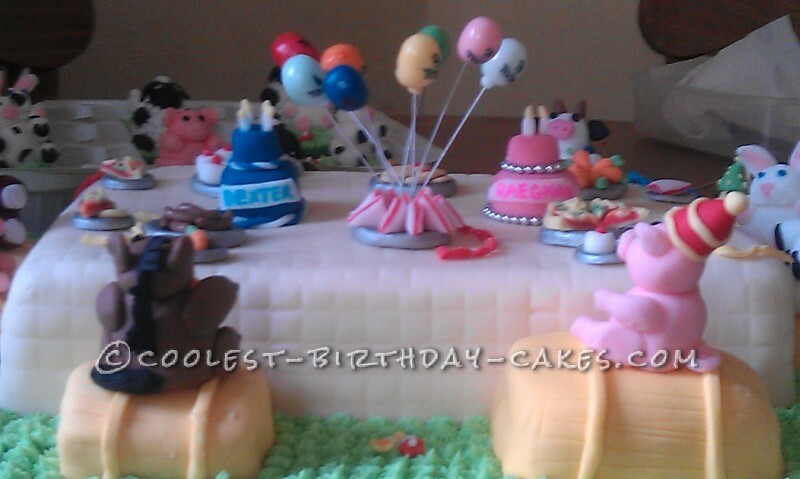 I also put two cakes on table, a blue one and a pink one, each with their name on them with candles (getting the tiny candles to stay on top of each cake was more of a challenge than making the animals !!) for how old each of the children were going to be. I also made balloons for center of table and wrote the ages of the children on them as wanted to make it more persona.l I made some straw hay bundles for the animals to sit on. I covered the cake board in green piping to look like grass and added a couple of little flowers dotted around. Because I made so many animals I thought I would surprise my nephew and make cupcakes so they could give the guest them as the leave. I was thrilled as was everyone with the end results this has to be one of my favorite cakes I’ve made.